I often get asked what I use for Screenshots. In the company I work for, some people had a requirement for a program that is more advanced than the built-in Windows Snippet tool. While Snippet can work for one or two screenshots, the moment you have to do a lot of screenshots, you need a better solution. While there are some very good commercial products, there are alternatives that are free and work just as well. Then one day I said, why not write a post about Top 3 Free Screenshot tools. All of the tools listed can substitute commercial products and can save you some money. 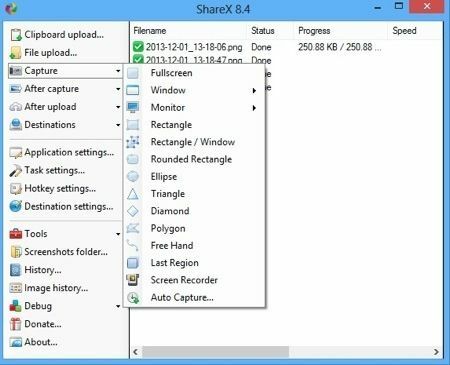 Windows is the most popular platform, while Windows 7 introduced the Snipping tool there are tools that can improve a basic product even further. 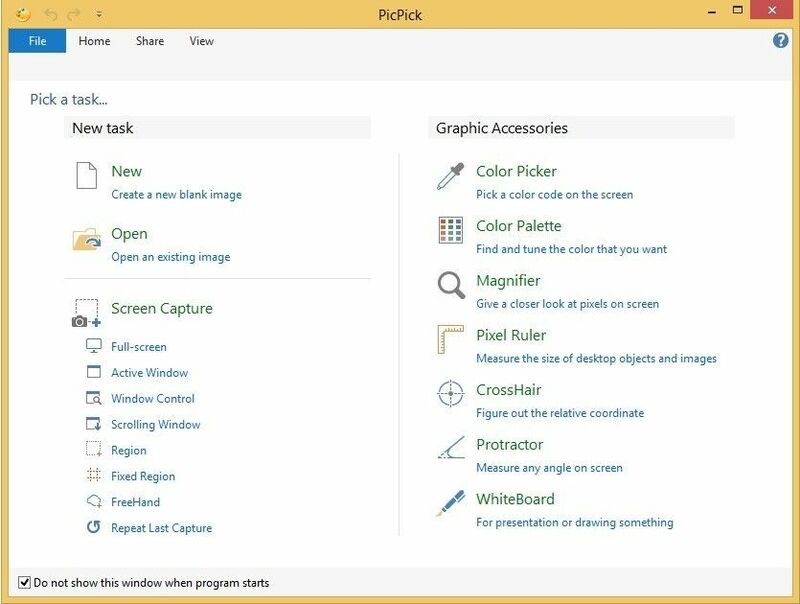 PickPick is one of the most feature complete free Screenshot tools for Windows. You can take screenshots of a full screen, Active Window, Scrolling Window, Region or even selecting screen area with the Freehand shape. In terms of editing the picture you can add balloons, frames, Watermark, Shapes, Arrows, and lines, add text and you can even change Brightness and Color balance. It also has graphical effects like Mosaic and Sharpen functions. You can copy a picture to the clipboard, save as a file and even send to external services like MS Excel, Box, Dropbox, Google Drive. You can also save picture as a PDF file or send to imgur. While the program is free for personal use, you have to buy it for business use. Recently I stumbled on a great program from MangoApps. It’s called TinyTake. It features screen capture in addition to video recording. It has a great interface and plenty of features. and it’s free. Did you know that OS X has a built-in screenshot tool? The answer is yes and I didn’t know until recently. Unfortunately, it can only be used by pressing a key combination. There are great alternatives to the built-in tool. My favorite is Skitch. 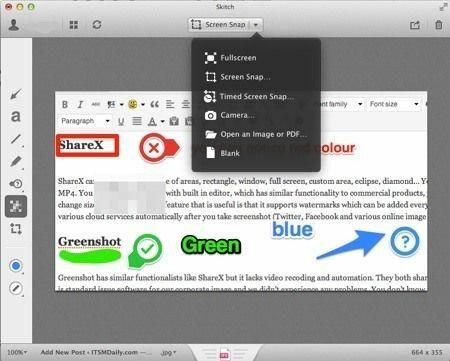 Skitch was first introduced on Mac OSX but was later ported to Windows as well, meaning that it works on both Windows and on Mac. What’s more, it is also available for IOS and Android. 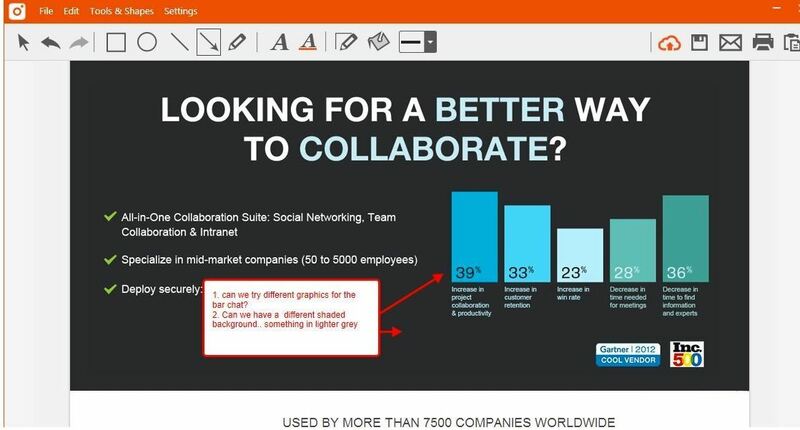 It’s the strongest asset is integration with Evernote. 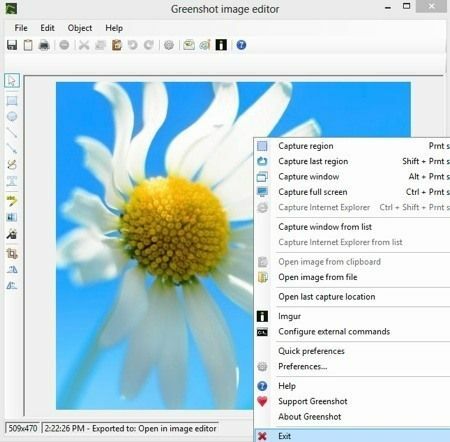 While it’s not as feature-rich as both Greenshot and ShareX, it has other strengths. It gives you simple way to annotate, has nice stamps which you can use to quickly and graphically stress part of the annotated screen – good, bad, question… It also has the ability to annotate PDF’s but that feature is a premium. Jing is a veteran in free tools for Windows. 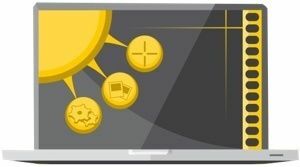 It started as a research project at TechSmith (the company behind Camtasia and Snagit) but became a free product with a bit less functionality than SnagIt. When you run it, an icon will appear at the top of the screen in the shape of a Sun. When you hover over with your mouse it will show you crosshair which you can click to create a screenshot. Jing can also record videos which are limited to 5 minutes. Captur is not a full-featured screenshot product. It’s just an add-on for the OS X built in screen capture command. 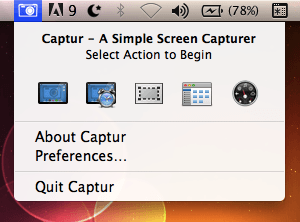 For those of you who don’t know, OS X has a built in Screen capture utility. It can be operated by using several key combination to take a screen grab. If you press Command+Shift+3 it will take a screenshot of the whole screen. By using a Command+Shift+4 it will show you selection box which you can use to grab only selected part of the window. While there are many combinations also by using additional buttons like a space button they can be easily forgotten if you only need to take a screenshot from time to time. Captur solves this problem easily and adds a proper icon to the taskbar. Like it should be from the start. When started it will show an icon in the menu. You can choose to take a screen shot of a full screen, windows, widget and selection. 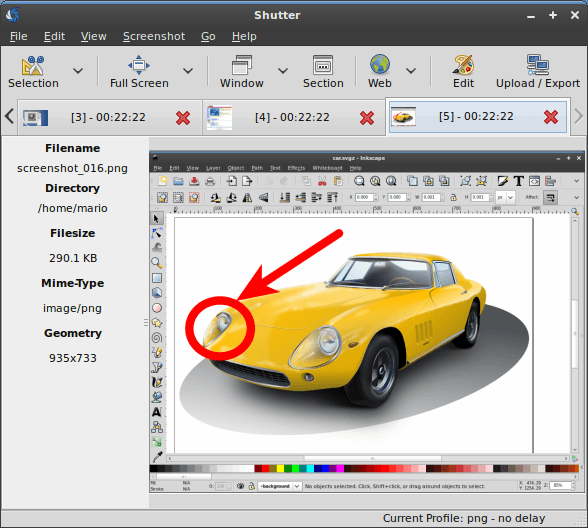 Shutter is a very powerful screenshot tool for Linux operating systems. It’s a open source program available for free exclusively on the Linux platform. First feature you will notice is that it’s really simple to use while at the same time offering you a lot of features. You can take a screen grab of a custom area, window, complete screen and a complete website. You can apply different effects to the screenshots. One area where it improves on basic tools is editing. you can draw on the pictures, highlight areas and add text. You can easily annotate your grabs and add your notes. You can share pictures with few external services. In addition, Gnome and KDE both offer pretty solid built in applications. For most tasks, they work really great. For example, they even feature taking a delayed screenshot. In addition, since they are integrated they both offer fast performance and small footprint. 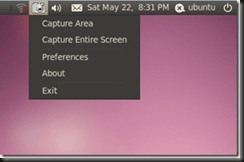 One program that has support for both Linux and Windows is called Lightscreen. New in the latest version is screenshot history, revamped area mode with resizing and better zooming. Menus were reorganized to be easier to use and it features improvements in naming the files.